North Country Emergency Medical Consultant’s PC is recruiting a Physician Assistant/Nurse Practitioner to join our current group. Our democratic group contracts with Samaritan Medical Center to staff the 40 bed ED which has an annual volume of 53,000. Our midlevel providers work closely with our physicians to staff our Rapid Clinical Evaluation area. SMC’s ED has in ED radiology, CT scan, ED Ultrasound and point of care testing. The compensation package, including benefits, is around $165,000.00 for approximately 144 hours/month. Quarterly, we boast a metric driven incentive salary bonus that is attractive to the right professional with a passion for Emergency Medicine. Upstate New York is an outdoor enthusiast’s paradise with 4-season recreation in the world famous Thousand Islands, Lake Ontario region and the Adirondack Mountains. Montreal, Toronto, Finger Lakes region and NYC are a short drive away. Syracuse International Airport is approximately 1 hour away and Watertown International Airport is approximately 5 miles outside of Watertown. 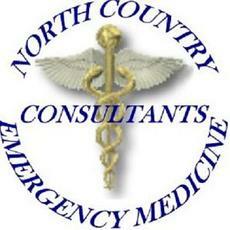 President, North Country Emergency Medical Consultants, P.C.